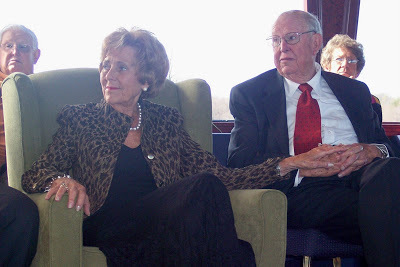 Nana and Papaw (Greg’s grandparents) are celebrating their 60th anniversary on Valentine’s Day. The family surprised them with a lunch cruise on a yacht on Kentucky Lake yesterday afternoon. The boat is based in Louisville but spends January and February down this way. Besides the fact my back and head ached and I had chills, it was a fun outing. Then I spent the rest of the afternoon and evening on the couch with my friend The Heating Pad. I feel better today, but still not great.